Room 8 - Growing Great Learners! : Week One, DONE! Wow, what a busy first week in Room 8. We have been spending most of our time getting to know each other a little better and reminding ourselves about how to look after our chromebooks. 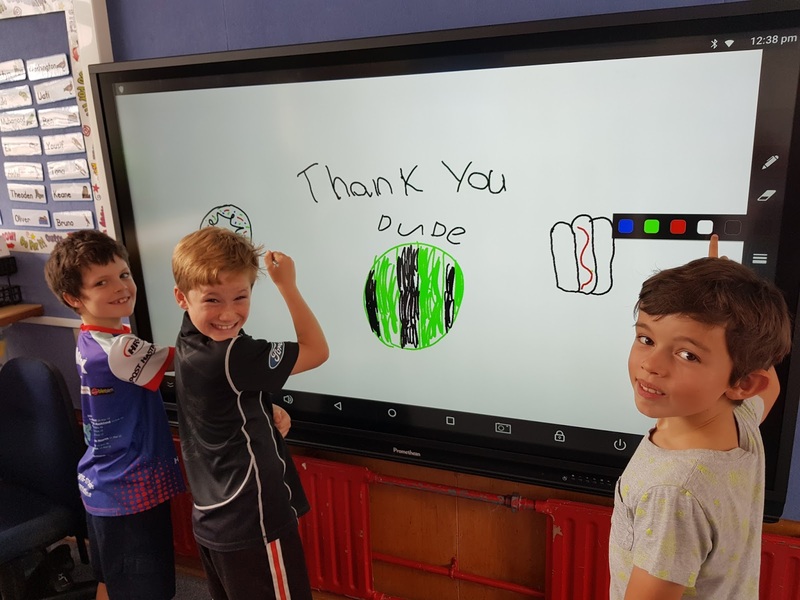 Last year the old Room 21 (now the new Room 8) won a competition run by Promethean for a new interactive flat screen panel. Here are a few students trying it out. Eli, Oliver and Bruno drawing on the multi touch screen. Alodia, Zoe and Lillia solving a logic game. We are all excited to see how the panel can support our learning during the year. It sure makes working together easy. Thank you Promethean! Welcome to Tuhi Mai Tuhi Atu for 2018. I am excited that your class has joined a group and I will get to check out your blog on a regular basis. My name is Tania and I am the organiser of Tuhi Mai Tuhi Atu. I live in Whangarei, a couple of hours North of where you live in Auckland. Have any of you ever been to Whangarei? We have lots of great beaches! Great to read you've been reminding yourselves about how to look after your chromebooks. I am sure you have all been cybersmart over the holidays. 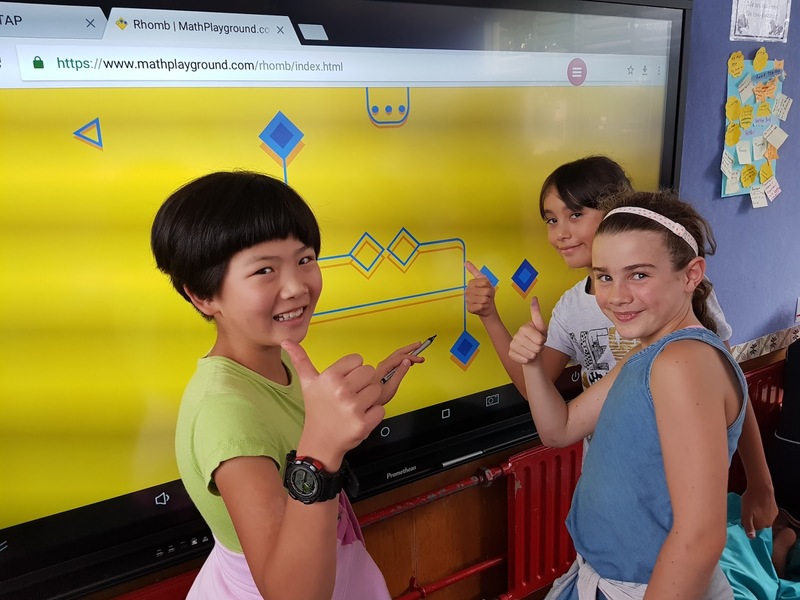 Your new interactive board looks great! Keep up the great learning, creating and sharing.